You have picked your wedding date, wedding dress, bridesmaids, and the all-important engagement ring is on your finger. 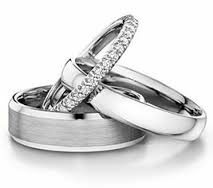 Now it is time to choose the perfect wedding band to pair with it. There is no need to panic, an experienced jeweler can help you pick out one that not only compliments your ring but your style as well. Here are a few wedding ring trends for 2017 to consider. For brides who choose a vintage style engagement ring, the pave’ diamond bands create a complimentary classic look to the more complicated vintage styles. These bands have small diamonds mounted very close together so that the metal is actually “paved” with diamonds. These bands tend to sparkle from all directions making them a favorite among today’s bride. The “minimalist” style of a single row of small diamonds is quite popular and pairs well with almost any style of ring without over powering it. The price point of five stone bands is appealing, and the good coverage across the top of the finger is a popular aspect as well. As with other bands, there are many different styles. 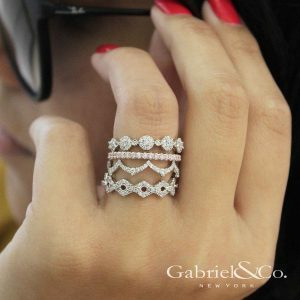 From straight bands to halo inspired; most showcase the diamonds while showing minimal metal. This is possible by the shared prong system of mounting style. 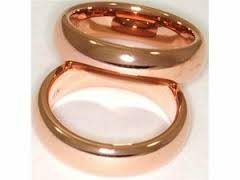 The very popular rose gold bands paired with rose, rose and white and white gold engagement rings makes a unique looks that pops off the finger. The rose gold is warm and romantic. This option is available in most all styles that white and yellow gold bands are available in. The vintage inspired bands are lovely reminders of years pass. 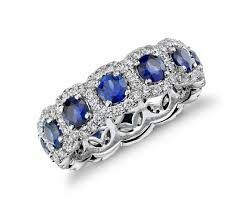 The bands blend such a wonderful look into today’s world with floral expressions, mixture of colored stones such as sapphire, ruby and emerald into the design. Soft swirls of diamonds with delicate gold patterns make a perfect statement with the classic solitaire. This band can be curved to fit snugly up to the engagement ring. 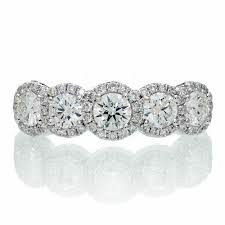 On that note, diamond bands can be made curved to fit the many styles of engagement rings.